There are marketing tactics providers need to use in order to make sure their developer programs or APIs land in front of the right eyes. In order to segment API marketing correctly, and to do so in a way that is appealing and in good taste, it comes down to intimately knowing the needs of your audience. In this article we interview developer program strategists from Catchy, Dopter, and Stateless to explore why knowing your target API consumer is now more important than ever. Throughout webby plains of interconnectivity, thirteen thousand plus public APIs or application programing interfaces now expose data and systems — adding awesome functionalities to mobile apps, and allowing entirely new data-driven businesses and new user experiences to blossom. Within any economy showing such exponential growth, the diversity of its players will naturally increase as the market evolves. It’s a fact that the API space is becoming increasingly diverse — it’s not the old days where a few independent developers created mashups for fun. 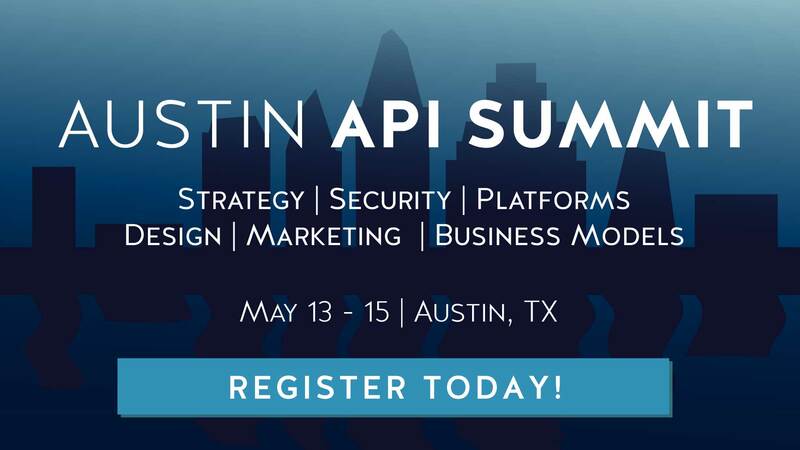 APIs have entered large business dealings, gained the attention of enterprise-level product designers, led to the creation of multi-billion dollar startups, influenced creative marketing campaigns, and more. So, with all this new interest from varying audiences, API providers may be asking: who are we selling to? Why Create a Developer “Persona”? Market Fit: Knowing your consumer can help you discover unmet needs in the market your API could potentially satisfy. Functionality: Understanding use cases can help design API functions around that need. Segmentation: Knowing your user can help segment marketing efforts and decrease customer acquisition cost. Creative Marketing: Knowing what your audience is interested in will help tailor your marketing to this audience, influencing your message, tone, appearance, design, style, and more to attract your target audience. ‘Know your demographic.’ ‘Understand the psychology of your consumer.’ We hear phrases like this frequently in general business discussion. Is it possible to apply the same philosophy to marketing APIs? Jason Hilton of Catchy. Catchy’s upcoming conference will bring together experts in developer programs and IoT. Developers are not your average consumer. 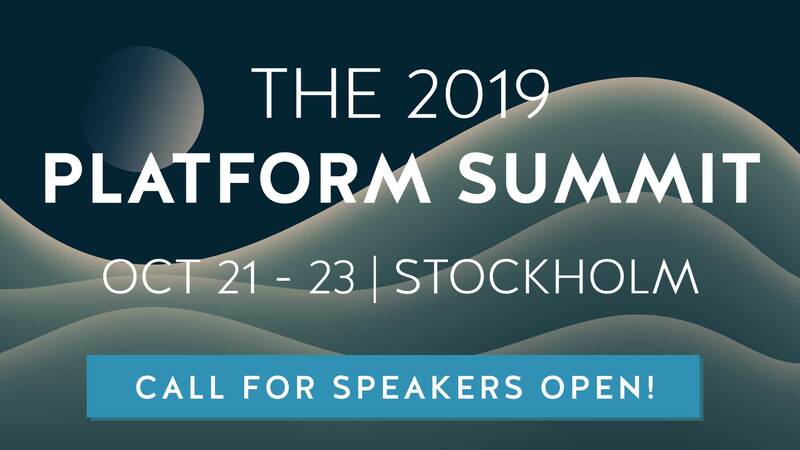 In a conversation with Nordic APIs, General Manager Jason Hilton of Catchy Agency, an international developer program management outfit with an upcoming IoT-themed dev conference, pinpointed the following attributes. The developer brain is naturally analytical. They appreciate authenticity. And in a sea of competing tools with rampant overzealous marketing, they have the right to be skeptical. A web developer especially wants to pick up and play with a product, expecting an instant proof that it behaves as advertised. Take these generalizations as you will, but they’re worth to consider when developing a marketing message and story applicable to this certain audience. Both content and aesthetics can either incorporate or alienate depending on their execution. Creating a developer portal, for example, should, in response to our brief psychological examination, be intuitively designed, with transparent information, an attractive layout, and interactive modules that allow one to test API calls. But Plenty of Other People Are Interested in APIs, Too! Andreas Krohn of Dopter urges us to consider a wider scope with API marketing. Instead of focusing so heavily on developers, API providers should create more inclusionary customer personas. In his work at Dopter, an API strategy and consulting firm, Krohn routinely encounters providers that want to create hackathons to reach out to developers to promote their APIs. Though that can be an effective strategy, are developers really the sole audience that may be interested in APIs? The truth is that designers, entrepreneurs, marketers, and other business leads are just as important constituents. Developers relate to other developers. Myth of the single developer. Though many people aware of APIs are developers, not everyone is a developer. We must remember that the world is bigger than the Silicon Valley. Just as the laymen smartphone consumer can brainstorm innovative app ideas without needing to know how to code, there is a similar low bar that allows anyone to understand the possibilities APIs offer to then envision creative applications. Developers are crucial to any software process, but in reality, a diverse array of talent and experiences contribute to creating a new product. Read More: Should Every Company Consider Providing an API? If we incorporate a wider audience into our understanding of the target API consumer, how does that change the way an API is marketed? Krohn encourages us to remember that real value is only created when an end user uses the app that’s created with the API. And who creates that experience? Entrepreneurs may create the product, managers oversee production, designers envision the user experience, developers connect the backend, and other domain experts may contribute. All these stakeholders intimately understand the value of API integrations, and thus all their perspectives and needs should be considered. Think of standard web API portals as they are now. Can entrepreneurs immediately discern the end user value when they view API documentation? More often than not, their needs are excluded. There is a lack of high-level summary and sample use cases to inspire non-technical minds — this experience is often non-existent. Krohn believes that Developer evangelism should rather be End User Evangelism. As Krohn says, “be aware of who you are including or excluding, and make it a conscious decision.” Think you know your target audience? that may soon change. With the recent rise of B2B and enterprise interest, should API providers be selling to individual developers? Or is it a better idea to seek out business partnerships directly? The way APIs are marketed and consumed varies tremendously on the industry. API providers may range from a two person startup to an enterprise development team spanning hundreds of employees. The same diversity is present on the consumer end, affecting the way APIs are acquired. The core value message also changes based on whether the API is directed toward startups, engineers in a large organization, or toward convincing upper leadership. Enterprise Developers: Developers working within a large organization. The challenge faced here is that they may not be the decision maker. Working on the inside, means they must make the case upwards, involving multiple parties and potentially creating a longer decision making process. Freelance Dev Shop: These are small startup teams looking for helpful API integrations to accell their product. “It varies a lot between different businesses and markets. If a relatively lightweight, phased on-boarding process for partners and clients is realistic and commercially viable; then absolutely APIs can, and should, be used to generate leads from developers. We refer to this as bottom-up user acquisition. Other than geographical pinpointing, additional physical locations like developer centric programs such as hackathons, meetups, and conferences can be used to discover your consumer. If we consider online activity, our target developer location varies depending on their needs. Gauge how active your target consumer is on Stackoverflow, Github, Twitter, Reddit, among other communities. Developers have varying technological specializations, focusing in different programming languages, attracted to certain protocols over others, and coming with a unique history using specific tools. So, how critical is it to consider these concerns when marketing an API? Marketing, relations, outreach — typical B2B sales motives, labels, and tactics may conjure up negative connotations. Hilton acknowledges a common pain point among working with enterprise clientele is knowing when to lessen the corporate branding to appeal to the tech community. As a general rule, if the API is for enterprise then being ‘closed’ can work. An example here would be SAP. Being closed allows the API owners to retain strict control of the ecosystem, ensuring all apps retain business look-and-feel, and also quality measures. But ​closed APIs, entailing log-in to a proprietary ecosystem, will always be a barrier to entry for the majority of developers. API providers can use tactics to help acquire developers, increase onboarding efficiency, and maintain user retention by appealing to the tastes and needs of the audience. Stellar reasoning behind creating quality developer experience can be found in John Musser’s “10 Reasons Why Developers Hate Your API.” Harking back to Andreas Krohn’s stance on the need for increased inclusion, API experience should also consider the entrepreneur experience, the manager experience, and the designer experience. In that spirit, embrace developer language, but also cater content, appearance, UI, and UX to your audience. Simply opening a platform up without the right forethought, planning, and intimate knowledge of your consumer will not work in this sector. Product teams within technology companies often assume the product will be used, but too often, marketing is either too slim or inefficient, leading to a low adoption. Technical Perspective: Understand what type of person will be interested in your API, and make sure your marketing and API portal does not exclude interested parties. Industry Background: Consider who will be attracted to your API: is your API a public offering encouraging startup developers to check it out, or is it a partner integration used by enterprise teams? Needs: Understand the needs of your audience first, then tailor functionality and experience to address those concerns. Architecture: Build in relevant modes that your target audience finds useful. First or Third Party APIs?